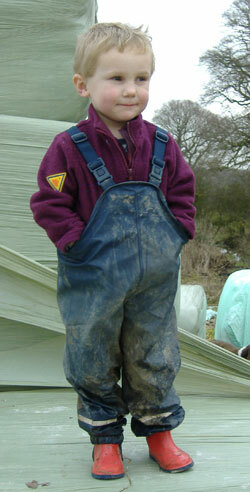 These Danish made dungarees from Ocean Rainwear are ideal kids playwear. Made from super-soft yet tough eco-friendly PU fabric , they are so comfortable and easy to move in that they make great protective play clothes whatever the weather - as well as being guaranteed waterproof, windproof and breathable. Ocean has achieved the stringent Oekotex certification, are guaranteed to be manufactured using only ecologically safe substances. quality weight (210g) 100% Oekotex Certified PU fabric, 100% wind and waterproof material and breathable.